I have previously posted about being approached to accept a peerage, as well as doing a post on selecting my title. The peerage itself took effect on ‘the forenoon of the first day in August’ 1998. I was introduced into the Lords on 6 October, which is when the picture is taken. 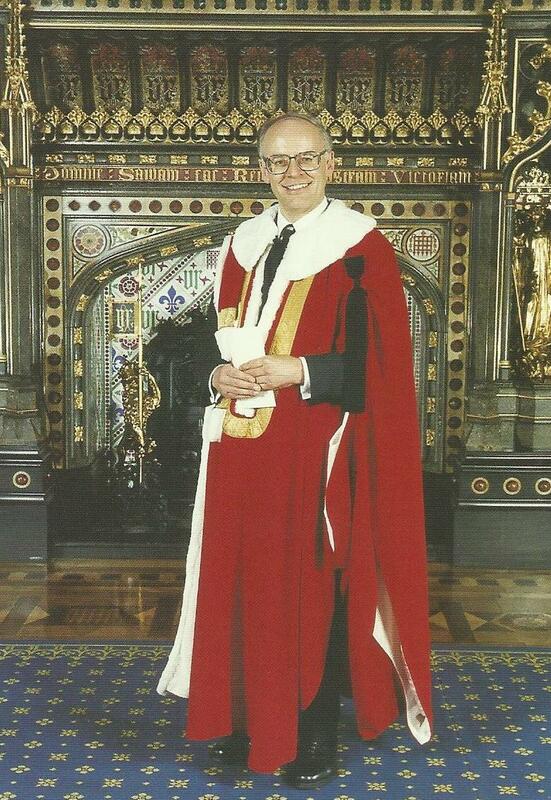 Each year, I make a mental note to do something on 1st August to mark the anniversary of the peerage. Most years I tend to forget, remembering days after the event, by which time it is too late. This year is the 20th anniversary of the peerage taking effect, so I have made a particular effort. All I need to do now is decide how to mark the occasion…. This entry was posted in Uncategorized and tagged House of Lords, peerage. Bookmark the permalink. Not sure what a good one would be….. Does a fish-and-chip lunch count? Congratulations, Lord Norton – if only other members of the House (let alone the other one!) were half as thoughtful, erudite (and just plain sensible) as you – here’s to the next 20 years! For a dedicated man who deserves to know a secret: Here is a rare find for special occasions. Only open lunchtime between noon and 3pm. Unless booked for private dinner. Award winning wines, ‘The expedition in pursuit of rare meats.’ Classic British Heritage. LN, I forgot to add, with very best wishes.